Covers results from Bingley Show 10K, 24h Conti Thunder Run, Northumberland Coastal Run, Holme Moss Fell Race and York Chocolate 10K. 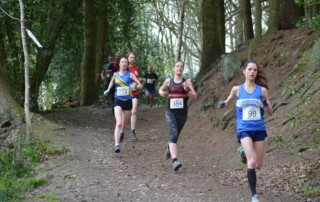 Covers races including Ingleborough Mountain Fell Race, Race to the Stones 100km, Yorkshire 10K, Urban Trail Runner Roundhay Rampage 10K and Priory 10K. Coach House Sports Physiotherapy Clinic will be hosting this special session. 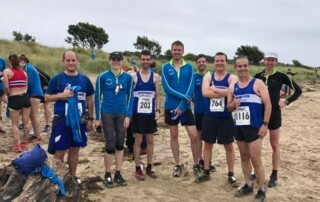 All abilities welcome... ABG through to experienced runners. Everyone can benefit from this type of session. The session will demonstrate warm up and running drills, as well as correcting and discussing injury prevention tips. 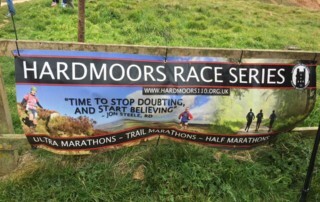 We all followed his progress in awe as Garth De Roux completed the epic Hardmoors 110 earlier this year. Read Garth's excellent report of this epic challenge. 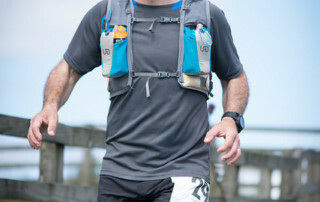 We all followed his progress in awe as Garth De Roux completed the epic Hardmoors 110 Challenge earlier this year. 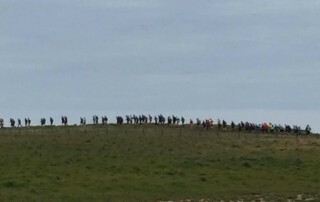 Now you can read Vicky Ward's report of the event - from the support crew perspective. 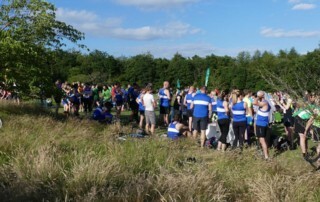 151 teams took part in this year's Golden Acre Relay. 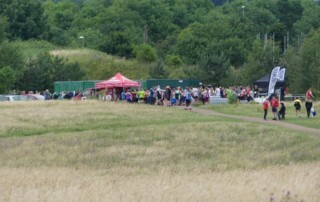 This is a 3 x 2.75-mile relay, over an undulating course of fields and pathways within Golden Acre Park. It was a great blue & white turnout for this year’s event with plenty of newcomers enjoying their first team relay experience. 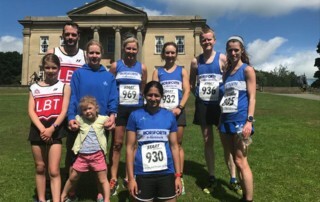 Harriers were out in force this weekend for one of the highlights on the region's running calendar, the Run for All Leeds 10K. It was a scorcher! 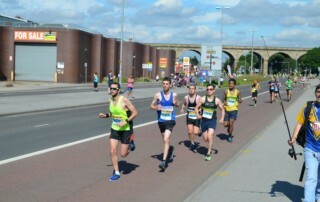 Covers results from The East Leeds 10K and the Canal Canter Summer Extravaganza. Garth De Roux reports on the Lyke Wake Challenge. The 40 mile route links up ancient bronze age tumuli that are dotted across the North Yorkshire Moors between Osmotherley and Ravenscar.